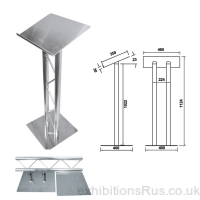 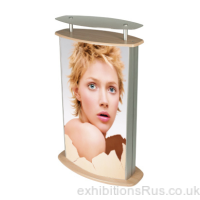 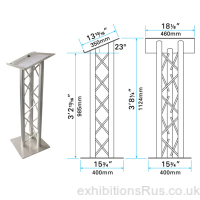 lecturns or lecterns, we produce then both. 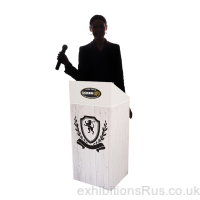 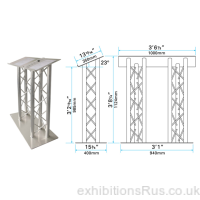 Choose from this range of portable podiums, quick assembly furniture, suitable for presentations, seminars, conferences and lectures. 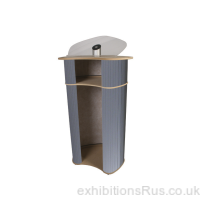 Here you can choose from fabric covered Mdf tambour units, steel cabinet style which gives a locking compartment too, as well as our highest quality display truss modelled units. 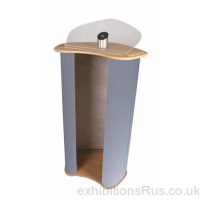 If you wish to have a different colour fabric please do call, they can be made to order in 4 to 5 days.